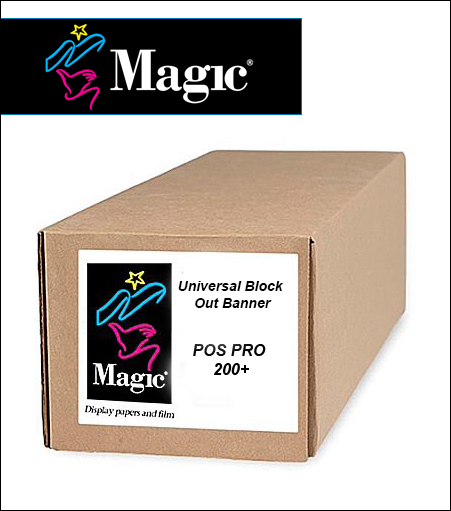 Magic® POS PRO+ 200 is a 10.4 mil printable, anti curl, blockout film that is specifically designed for universal printing. POS PRO+ 200 is a cost effective solution for indoor applications such as promotional roll-up applications, trade show graphics, and point-of-sale applications. POS PRO+ 200 offers high image quality and durability and is coated with a universal coating that is compatible with aqueous pigment, solvent, latex & UV cure printing systems.